Have you looked into other direct selling companies? GOOD! We encourage you to do your research and find out as much information as you can about a company, especially if you plan on working for that company. Some of Scentsy Family incentives include an all-inclusive trip to different locations every year, leadership retreats, conventions, free product, and many more. 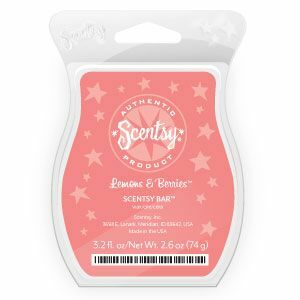 Scentsy family offers incentives that will help you grow and succeed in your bussiness, everything from trips, to free products for working your business! Every year Scentsy gives their consultants an opportunity to earn an all-inclusive trip. In 2012 Scentsy hosted this incentive in the Dominican Republic; it was a 5 day 4 night exotic get away at the Hard Rock Hotel and Casino! In 2011 the trip was to Disney Land and was available to the entire family! Scentsy also makes it so consultants can earn free products through hard work and determination. 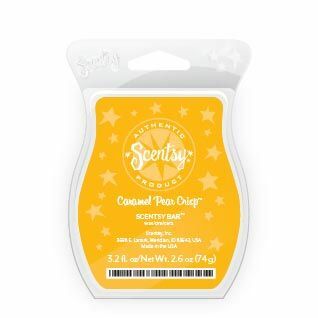 In the summer of 2012, Scentsy offered an incentive for consultants to earn a $500 free product credit; this is to be spent on anything Scentsy Family, from warmers to handbags. Out of 200,000 consultants only 763 consultants earned this credit. Scentsy works hard to give consultants every opportunity to succeed! 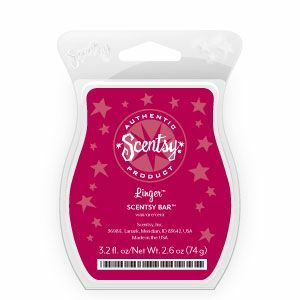 Also try mixing your favorite scents with pink pepper, it will enhance almost any Scentsy scent! It's January which means it's the month for BRING BACK MY BAR! You had the chance to vote to bring back your favorite retired fragrances from Scentsy and here are the results. 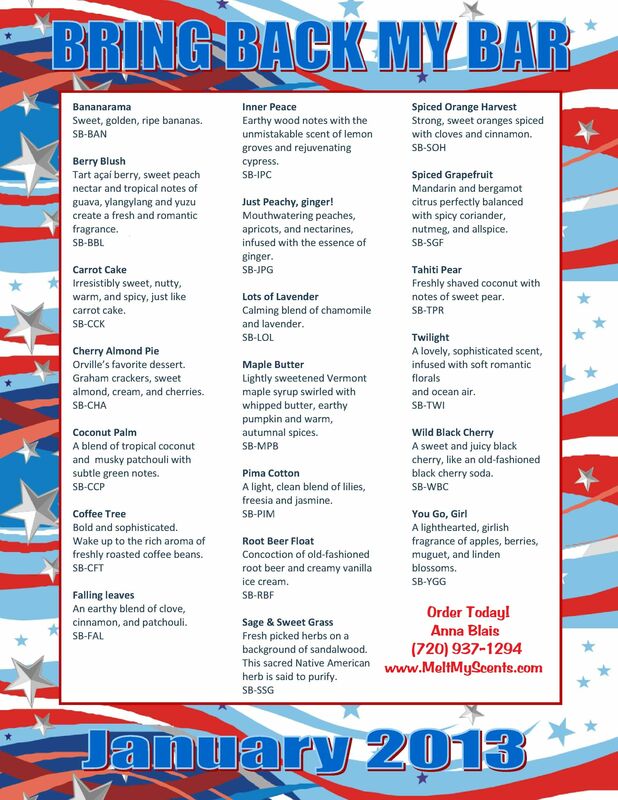 You can start ordering today and these bars will be available during the month of January ONLY!!! Host a basket/catalog/online party in January and earn DOUBLE the ½ price HOSTESS REWARDS!!!! That deal only comes 2 times a year! Do you want to Buy Scentsy Products? 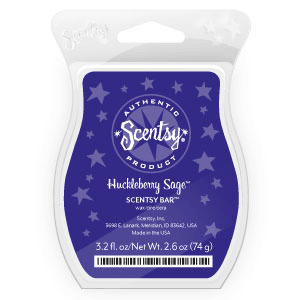 How about Join Scentsy? 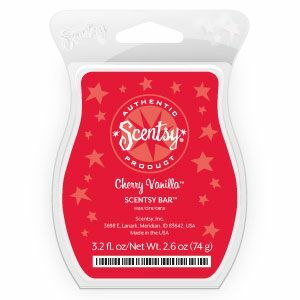 Want to Host a Scentsy Party?  You can always locate a consultant through the Corporate Scentsy website and find a list of consultants anywhere Scentsy is sold but...why not contact us and have us either help you directly or refer you to a Local Scentsy Consultant. Please feel free to 'Interview' us! If you are interested in Joining Scentsy or in finding consultants who will give you very personalized service then we ask you to interview other consultants as well as us. We pride ourselves on going above and beyond for our Scentsy Customers and focus on training our Scentsy Team! 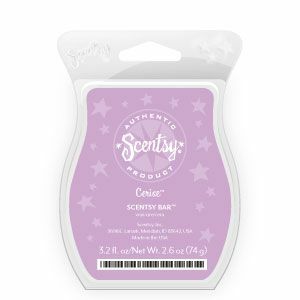 To learn more about us you can read our entire Scentsy Story here. Fire Proof Your House with Scentsy! ‘Tis the season for at-home entertaining – food, friends, family, fun and yes, even fires. Fire fighters respond to calls of nearly 400,000 home fires each year, according to the National Fire Prevention Association (NFPA). Many fires occur in cold weather months as more people bring warmth into their homes with things like traditional candles or holiday lighting. These fires result in more than 15,000 civilian deaths or injuries annually. 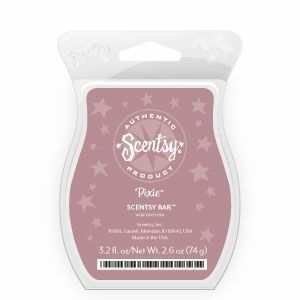 Read more: Fire Proof Your House with Scentsy!